On October 2, 1980 at West Park Manor, Mr. Edward Desjardins, aged 94 years, dear father of Wilbrod and Edward Desjardins of Winnipeg, Mrs. Larry Jacques (Edith) of Winnipeg and Joseph Carniato (Kathleen) Thunder Bay, Ontario. 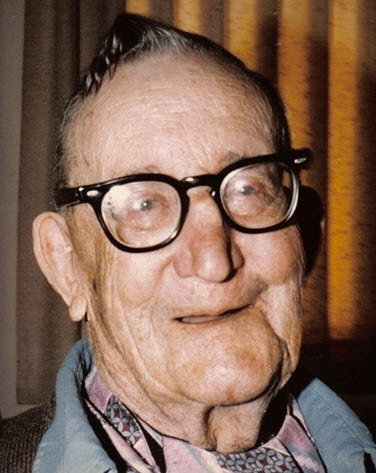 Born in Montreal, Quebec in 1886, Edward had served in the First World War with the Canadian Army Medical Corps and was a member of the Royal Canadian Legion, Brooklands and Weston Branch. Predeceased by his wife Elizabeth in 1975, he leaves to mourn his passing, besides his sons and daughters, two sisters, Mrs. Barney MacBeth and Mrs. Blanche Chaput of Montreal, Quebec and eleven grandchildren and seven great-grandchildren. Cremation has taken place. A family service was held on Sunday October 5 at 2:00 p.m. in Kerr’s Funeral Chapel, 120 Adelaide St. with service terminating at the chapel. In lieu of flowers, if friends so desire, donations may be made to the Canadian Cancer Society. Kerr’s Funeral Chapel, 943-6688.